Hot tubs that aren't properly insulated have three basic problems: The hot tub water takes longer to heat; it takes more energy to keep the water in the tub heated to the temperature you prefer; and increased noise and vibration. An uninsulated (or underinsulated) hot tub costs significantly more money to operate, and that's reason enough to learn how to insulate your hot tub. Check the existing insulation in your hot tub. If the shell, cabinet, underside of the floor and the plumbing pipes are well insulated, you may simply need to [use a hot tub](https://homesteadycom/how-4914171-use-hot-tubhtml) cover. 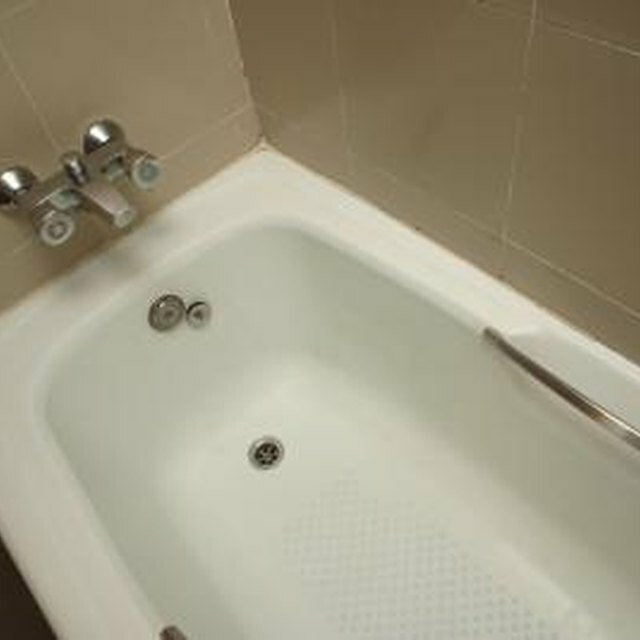 Since heat rises, covering your tub when it's not in use will help keep more heat in. Choose a good-quality hot tub cover. Avoid buying one that has a foam core as these become waterlogged over time. Read and follow the manufacturer's directions in order to achieve the best results. Replace your hot tub cover as soon as it shows signs of wear and deterioration. Hot tub covers are available from local suppliers, or you can order one online (see Resources below). Add additional insulation by using a floating thermal blanket. These are a must if your hot tub is located outdoors and you live in a cold climate. This product is used in conjunction with a hard cover. It hovers on the water underneath to help keep the heat in when your hot tub isn't in use. Replace your floating thermal blanket as soon as it shows signs of wear and deterioration. This product is available at local hot tub suppliers and online (see Resources below). Protect your hot tub completely and reduce the costs of operation by bulking up the existing installation. It'll be a little bit of work, but the benefits will be worth it. If the shell, cabinet, underside of the floor or the plumbing pipes aren't insulated properly, you'll need to fix the problem. Spray foam is the best product for the job. You can readily find this "insulation in a can" at most hardware or home improvement stores (see Resources below). Be sure to read and follow the manufacturer's directions and warnings to achieve the best results. Empty and disconnect your hot tub, then flip it up so you can reach the underside. Spray the foam into the shell of your hot tub so it's completely covered, and then spray the cabinet and the underside of the floor. You'll also need to spray the plumbing pipes. Add a few inches of foam insulation to all of these surfaces, if possible. Be careful not to add too much foam because it expands further as it dries. If your hot tub is under warranty, make sure you can add insulation without voiding the warranty. Be careful where you spray the foam insulation. Don't spray it on anything that's electrical. Make sure the foam doesn't interfere with the workings of the hot tub. Spray foam is flammable when it's wet.